Confession time, this homemade Mint Waffles recipe was inspired by my love for Mint Chip ice cream. I mean, what’s not to love about chocolate and mint blended together into a smooth and decadent flavor? 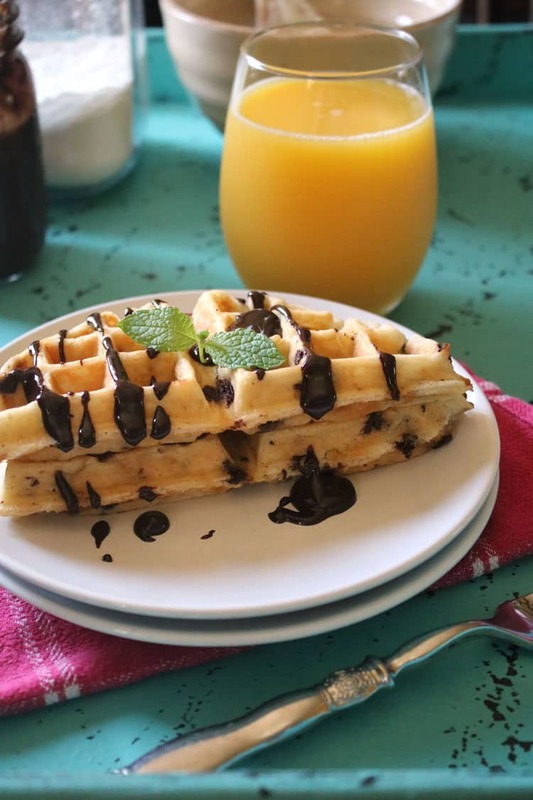 Serve these yummy waffles with Mint Chocolate Ganache for a delicious breakfast. 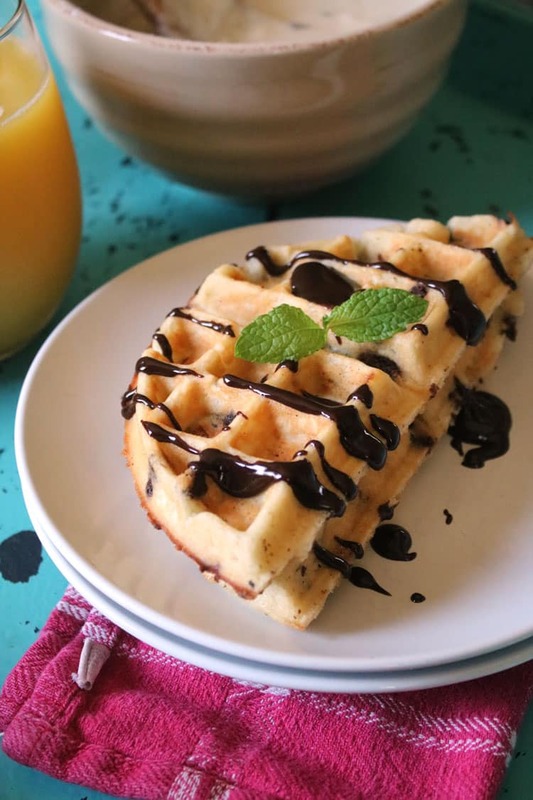 Because seriously–when you mix Mint Waffles together with a fabulously dark Mint Chocolate Ganache–well, you’ve pretty much got the perfect combination. Not to brag…but this is seriously good. 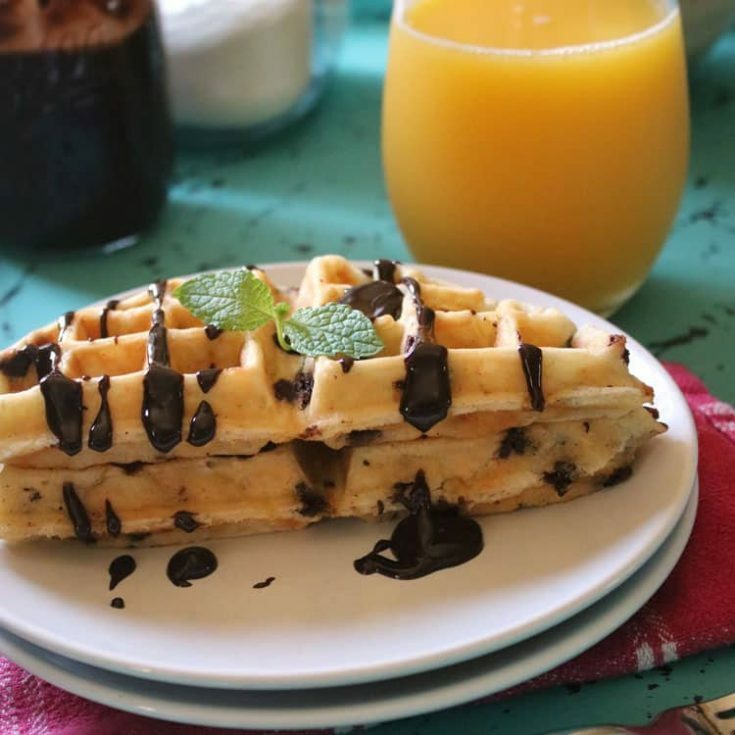 If mint chip isn’t your favorite flavor, try my time-saving Very Berry Chocolate Chip or Almond Poppy Seed waffles. 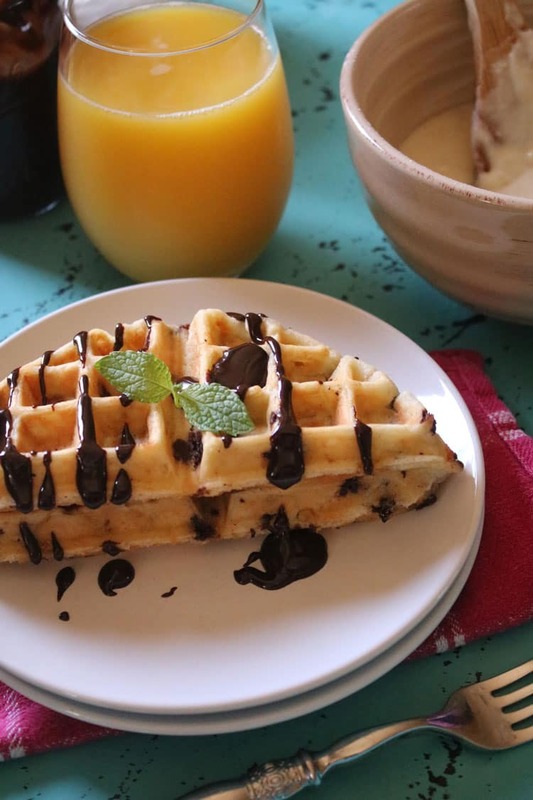 These waffle recipes are also made with our handy dandy Make Ahead Waffle Mix. It really is a huge help on busy mornings. Try it out on your own and see how you like it. You’ll probably like it about as much as we LOVE using our waffle maker with removable plates–you know the kind that you can put in a dishwasher? Love that thing! As in, well–I’m sure you get the idea–but, almost as much as I love chocolate. And summer. And chocolate in summer. Although, that last one can get a bit messy. These waffles would make the PERFECT dessert waffles too. Load up a scoop of ice cream–um, Mint Chocolate Chip ice cream?–and enjoy a fabulous bite of deliciousness right there. Just save some for me. At the very least, take a picture of your lovely creation and share it with me on Instagram. Because, I would LOVE to see your food photos! Whisk together wet ingredients and then stir dry waffle mix into the wet ingredients. When they are mixed together smoothly, pour in chocolate chips. 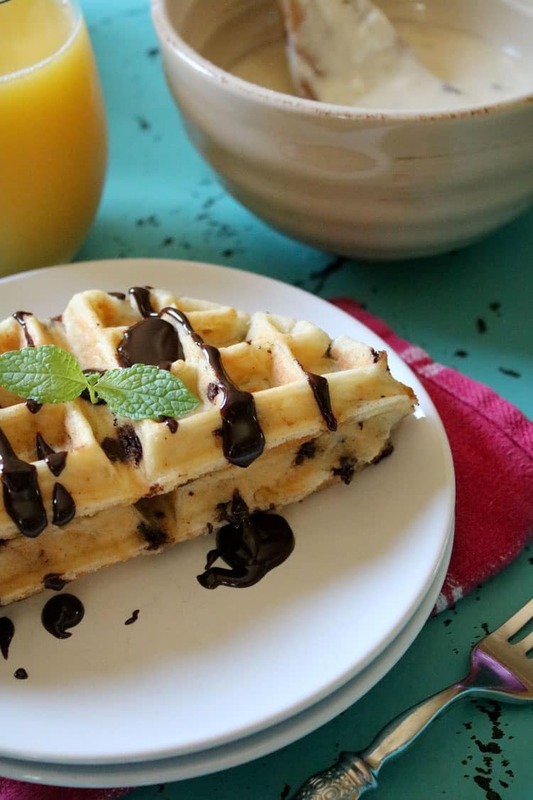 If you like mint, you’ll love this waffle recipe. We’ll definitely be making it again and again.